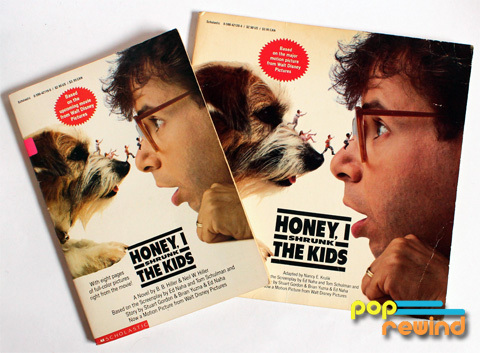 Here are a dozen things you may not know about the Honey, I Shrunk the Kids trilogy. It took a while to land on the title Honey, I Shrunk the Kids. 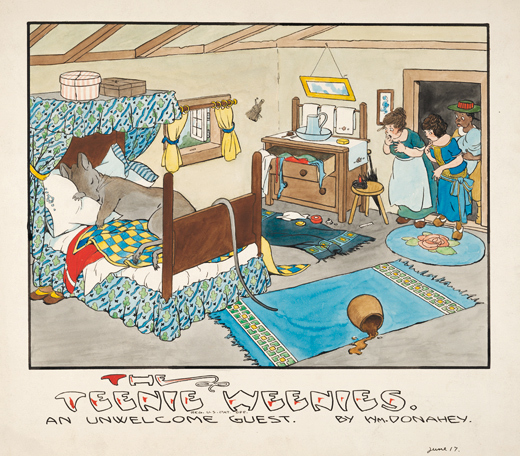 Originally the film was named Teenie Weenies by Stuart Gordon, Ed Naha, and Brian Yuzna, as homage to William Donahey’s comic strip that followed the adventures of tiny characters. Higher ups thought the title made the film sound like a kiddie film that adults would not want to bother with. It was then changed to Grounded for a while until they came up with the much better title we all know and love. 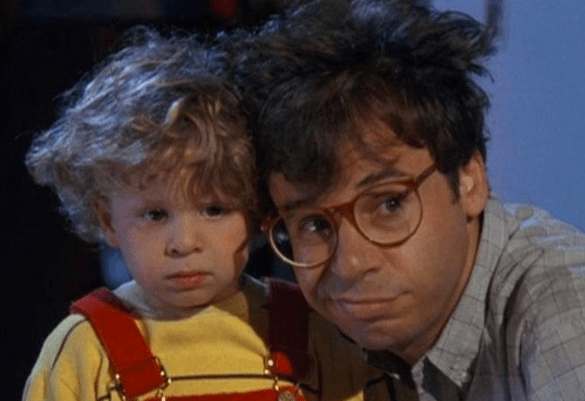 It’s difficult to imagine the role of Wayne Szalinski played by anyone but Rick Moranis (okay, maybe Peter Scolari), but the role was originally written with Chevy Chase in mind. 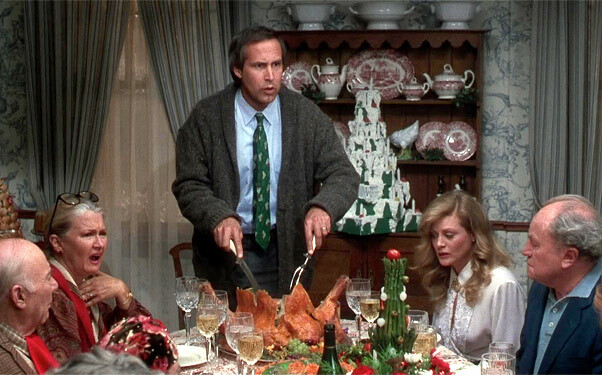 Chase was too busy to accept the role (he was filming National Lampoon’s Christmas Vacation). The role was offered to John Candy, who declined and suggested that Moranis would be a better fit. 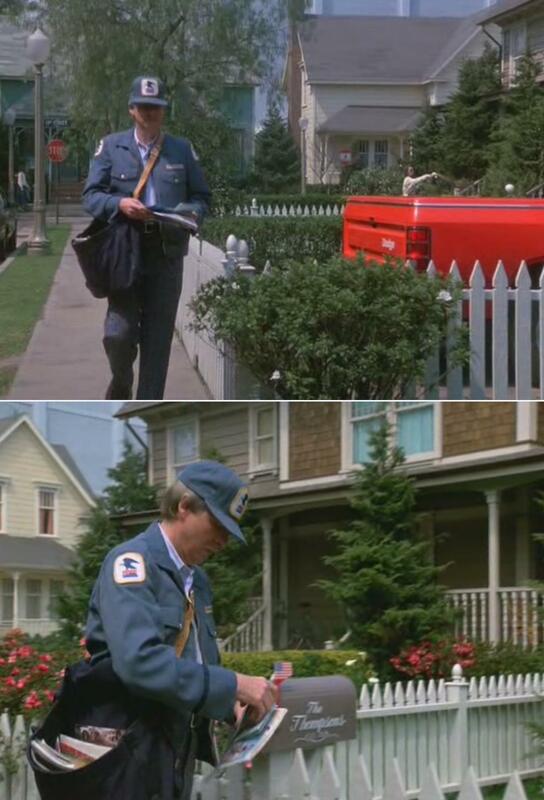 Interestingly, Candy was originally slated to play the role of Louis Tully in Ghostbusters, but it turned out not to be a good fit (Ivan Reitman mentions in the commentary on the Ghostbusters DVD that Candy wanted Louis to have a German accent and have Rottweilers) and was later given to Moranis. The backlot wall was painted to look like the sky, as an eagle-eyed film buff pointed out on Imgur. While the film takes place in Fresno, California, it was shot in the back lot of Mexico City’s Churubusco Studios. A lot of effort went into transforming it into a regular American neighborhood. As Moranis explains in The Making of Honey, I Shrunk the Kids, a 1989 special that aired on the Family Channel, “Making a foreign country look American was a challenge for Production Designer Gregg Fonseca”. As Fonseca puts it: “We had something like 48 different sets in approximately 80 days of shooting. We built all this backyard. It’s pretty amazing, actually. What it does is cover up studio buildings for most directions. There was an English garden back here which we took for the basis for established lawns and things like that and we completely surrounded it with this American neighborhood, mostly Victorian houses for mid-California-type architecture”. Additionally, Honey, I Blew Up the Kid was filmed in Florida but took place in Vista del Mar, Nevada. 9 – Antie doesn’t die? Dry your eyes—the most emotional scene in the film, and one that still makes me weepy every time I squish an ant, wasn’t supposed to happen. And if you read the novelization or shorter kids book adaptation of Honey, I Shrunk the Kids, you’ll see Antie (Anty?) is just fine. Ed Naha, who worked on the original script, was opposed to killing off Antie, but due to some last minute script improvements, Antie was killed off anyway. The novelization (by B.B. Hiller and Neil W. Hiller and based on Naha’s screenplay) was edited a bit from Naha’s recollection of it– there is no confrontation with a scorpion and Antie is last seen alive, the kids bidding it farewell as they find refuge in a Lego block before hopping onto the dog. The end scene doesn’t include Antie or any snobby college bigwigs, but that would have been pretty awesome. It was likely the original ending was edited out of the book (even more last minute) to jive better with the film. 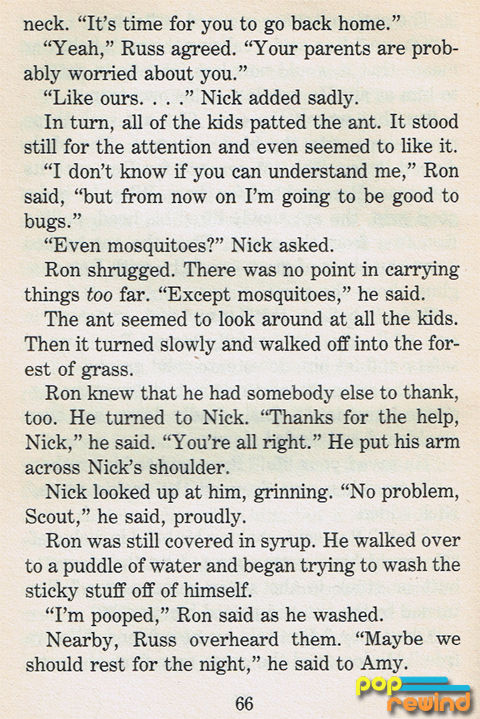 The shorter kids book adaptation, on the other hand, includes the scorpion scene, but Antie defeats him. Similar to the novelization, the shorter kids book doesn’t include Antie coming back at the end, either. So while he didn’t fly 20 feet through the air and land in his neighbor’s yard exactly, he did work with stunt coordinators. 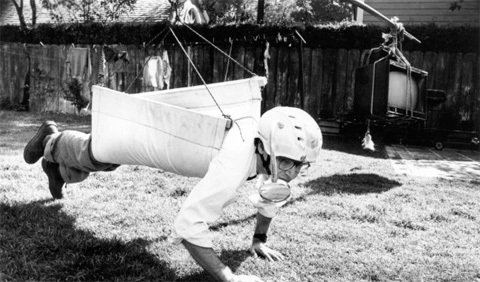 The stunt team rigged a large swing where Moranis could jump off, fly through the air, and land on a mat for the scene where Szalinski spins out of control and lands in the Thompson’s yard. There seems to be something lacking in the Honey, I Shrunk the Kids trilogy body of work. Sure there’s a ride and a syndicated TV series, and that’s impressive. But, the DVDs and other media surrounding the franchise are definitely low in extras. 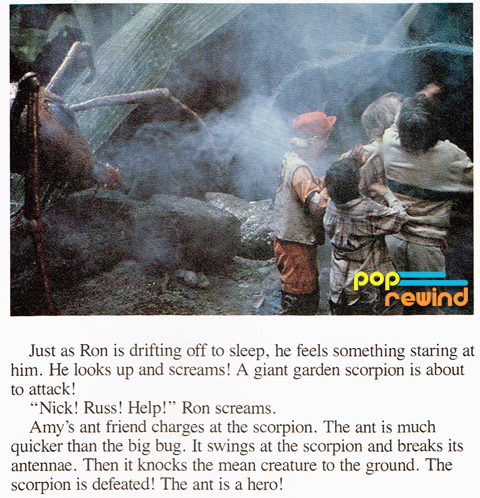 Remember that The Making of Honey, I Shrunk the Kids special I’ve mentioned a couple times? That’s not on the DVD. Nothing is. So perhaps it makes sense that the soundtrack for Honey, I Shrunk the Kids was released by Intrada Records on March 6, 2009, almost 20 years after the film’s theatrical release, and was limited to 3,000 copies. Why even bother? The sequel to Honey, I Shrunk the Kids was not written as a sequel. In fact, Honey, I Blew Up the Kid began as a script titled Big Baby. Accidentally hit with a growth ray, the Baby in Big Baby “blew up” and stomped around Las Vegas. It was rewritten as a sequel using characters from the original film, but there was no character equivalent for Amy Szalinkski so she was “off to college”. Honey, I Blew Up the Baby sounds like a way better title than Honey, I Blew Up the Kid. Baby rolls off the tongue and is much catchier thanks to some alliteration. Why would the studio change it to Kid? They were afraid of negative feedback. It’s cool to blow up kids, but you better stay away from babies, you monster. Daniel and Joshua Shalikar were the two-year-old twins that portrayed Adam Szalinski in the second film. Usually studios find sets of twins that are a year or two older (and yet look younger) than their characters to portray children for television and film, since the older kids are easier to work with. Not this time, on account of the kids being such a good match (both in terms of looking like a son Moranis and Marcia Strassman would have and in that they took direction easily. One of the twins was more adventurous while the other was more cautious, making them a great pair to portray the character of Adam). Likely because of what a great fit they were, the twins were signed on for two additional sequels in 1992. Of course, there weren’t two additional sequels, but they did reprise their role for the Honey, I Shrunk the Audience ride before being replaced by Bug Hall in Honey, We Shrunk Ourselves. In 1991, Paul Atler filed a lawsuit against Disney claiming that Honey, I Blew Up the Kid was ripped off from his screenplay Now, That’s a Baby! about an over-sized toddler wreaking havoc after being exposed to an enlarging ray. The jury ruled in Alter’s favour and Disney paid out $300,000. The 1997 direct-to-video third installment of the Honey trilogy was originally slated for a 1996 holiday theatrical release. Disney had been successful with releasing direct-to-video sequels to animated films like Aladdin at the time and wanted to try their hand at a live-action direct-to-video release and Honey, We Shrunk Ourselves was the lucky film they chose as their first. With the direct-to-video release planned, the film’s budged was slashed from $40 million to $7 million. Various cuts were undertaken such as using television resolution, casting less extras (the party scene was written with 150 kids at the Szalinski household to demonstrate an out of control party), and one scene where the shrunken parents fell into a fish tank was removed entirely and replaced with the bubble machine scene. 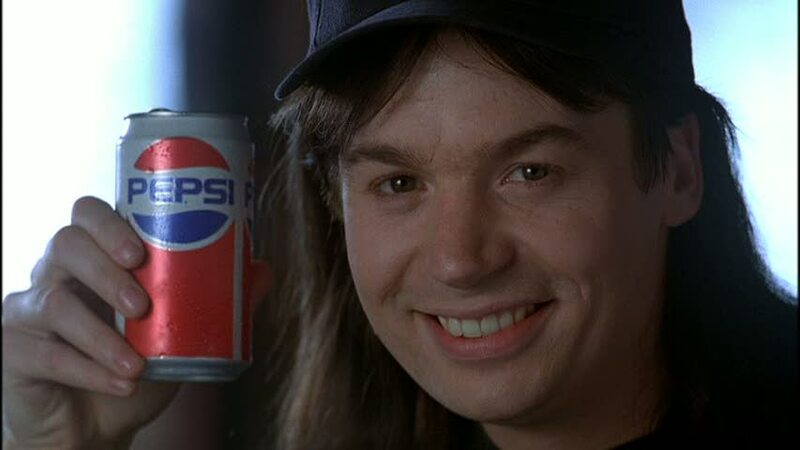 Honey, We Shrunk Ourselves is no stranger to the strategy of product placement. While it may seem blatant and tacky, product placement in this case helped with the bottom line and the savings were passed on to you! The kitchen is rife with placements for Trix, Skippy, Tostitos, Coke, Lays, and more. And you can’t ignore all the Hot Wheels, Sports Illustrated for Kids, and Street Sharks placements, either. This ended up being one of the few Disney films that was encouraged to use actual products and logos. Thanks to the placements, the art department’s budget was increased to make for a slightly better looking film than what we otherwise could have ended up watching. Did you know any of these things? Did we miss something? 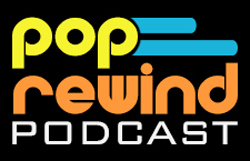 Be sure to let us know!